Stoneacre, which has 35 dealerships across the UK, is to open a brand new, purpose-built showroom in Newcastle exclusively for Aston Martin sports cars, reports AM Online. Stoneacre had previously only stocked relatively high-volume and mainstream brands at its franchised dealerships. Its only previous premium operations included Lotus in Durham and Volvo in Lincoln and Grimsby. The new facility on the Silverlink will house 14 Aston Martins at any one time, as well as offering a ‘Q’ room where customers can tailor options for their chosen vehicle. You may not be stocking high-performance sports cars in your showroom, but if you do have a vehicle in that is more valuable than your usual stock, it’s worth checking both your motor trade insurance and road risks insurance policies to ensure that you are properly covered. 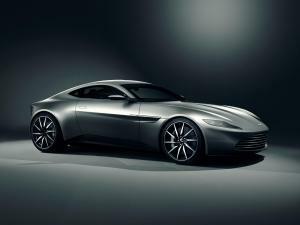 Shaun Foweather, Managing Director of Stoneacre, said: “We are delighted to be working alongside Aston Martin, a marque with such a prestigious automotive history. “The opening of our new facility, which will provide an extensive range of new and ‘timeless’ pre-owned models, dedicated ‘Q by Aston Martin’ lounge and state-of-the-art aftersales facilities, marks an important point in the company’s history. Aston Martin Newcastle will operate out of the new Stoneacre showroom from 24 March 2016.